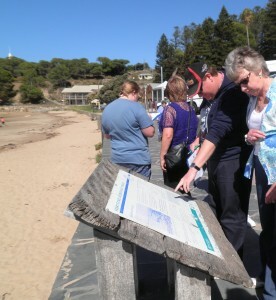 On Wednesdays the ‘Adult Literacy for People with a Disability’ class begins with a walk through paddocks and gardens surrounding the Encounter Centre in South Australia’s Victor Harbor. ‘We always start the day with exercise because it stimulates the brain and our students really enjoy it,’ says Leonie Mathews, co-ordinator of the Centre’s adult literacy program. On an average day, 20 people arrive aged from 18 to 60 years. They’re a diverse group – some have intellectual disabilities, others have acquired brain injuries through strokes or accidents. After the walk, the formal learning begins. Students write in their journals and talk with a tutor about what they’ve done during the week. This helps to develop their vocabulary and their reading and public speaking skills. Read more stories from Quest magazine.